If you’re still using your old network providers and paying them for every call you make then it’s time that you ported to a VoIP network. What is a VoIP network you ask? VoIP or voice over internet protocol is the term given to the technology of telecommunication via the internet protocol or simply internet. 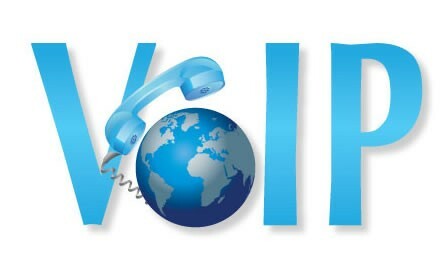 in common man’s language, VoIP network or VoIP phone number allows you to make phone calls through the internet and you don’t need to pay per min or second to our old network providers for every call you make or every text that you send, this is because the VoIP network uses internet to transmit, receive and send voice information and signals. The work of normal networks and a VoIP is quite similar, the digitizing and encoding of data or voice information is done in the same manner. The only difference between your plain old network provider and a VoIP is that VoIP uses the internet as its medium for calling or telephony. VoIP phone number has become popular thanks to their extremely low prices for making a call or sending a text, you can even use video calls for the price of a normal call. VoIP networks are becoming more and more popular among users who are fed up of the high charges by network providers and the costs of having a number. There are numerous advantages of switching to a VoIP network but there are also a few hiccups that come along the way and a few things that you have to make sure about before you port your number to a VoIP network provider. If you do decide to port to a VoIP network then you’re in for a bargain and that’s mainly because making a call through a VoIP network costs very less as compared to the normal network provider you might currently be using and that’s mainly because of the fact that a VoIP network relies on internet to make and receive calls. When talking about any service or technology it’s important to consider its downfalls too, because there are quite a few problems with the VoIP network. 1. You always need to have an internet connection otherwise you won’t be able to make a call. This is one problem and also a big one as not everybody almost always has an internet connection with them at all times. 2. You can’t change your network provider once you’ve ported to a VoIP network. Once you have ported from a normal network to a VoIP one you cannot port from one VoIP network to another. 3. The service providers aren’t fully developed or established. VoIP is still a new type of network and will take a few years before it is totally established and has become reliable. If you manage to look past these few things then you should port to a VoIP network where you can enjoy extremely cheap calls and a great connectivity.